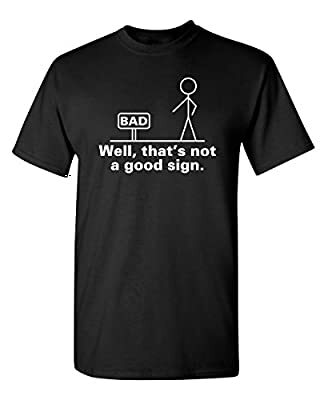 Well That's Not A Good Sign Funny T-Shirt. The best part is when you pull this shirt over your head you become the center of attention. The finest quality cotton tee. They fit great, preshrunk and we only use brand name tees. The t-shirts are heavy weight cotton tees. We have over 1000 designs. Check out our store for more funny and novelty t shirts that will become your favorite.